​Publisher: Growing Faith, CEP, Australia, 2013. Madison is in a bad mood. Everyone is excited about welcoming a new baby into the family, but Madison's not so sure. This is a lovely story about how knowing you've been wonderfully made can sometimes make all the difference. Winner of 2013 CALEB Prize, Children's Book Category. 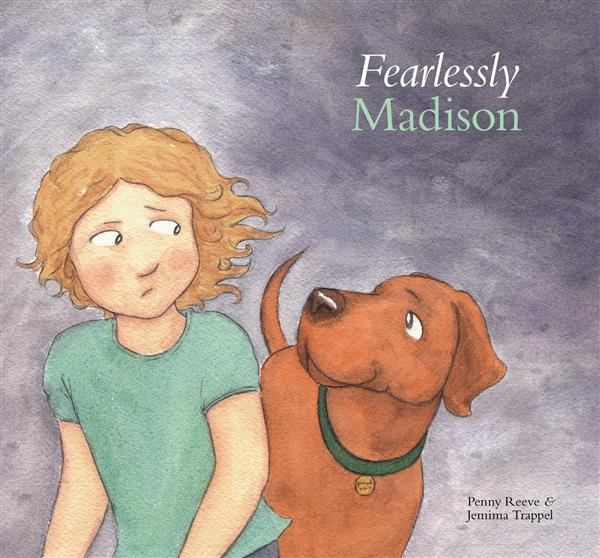 Madison is looking forward to a play day at Grandma’s house—that is, until she sees Ferdinand the new dog. That’s when Madison’s belly starts to tremble like raspberry jelly! This is a story about being afraid and finding the courage we need to comfort others. Winner of 2016 CALEB Prize, Children's Picture Book Category. Publisher: Wombat Books, Australia. 2013. But what might this look like? And how far does God's care reach? Join the wild, hilarious and crazy ride of a young boy who dares to imagine the incredible scope of God's love and care. This series of bright picture books, with easy to read text, explore the character of God by learning about the animals of his creation. Perfect for ages 2-7, these books are suitable for both shared and independent reading, and have downloadable resources to support their use.